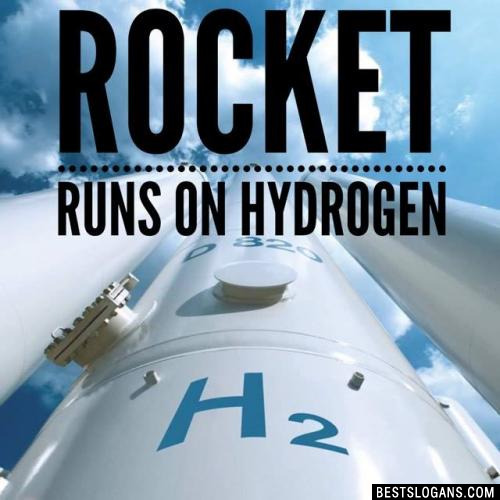 32 new entries added to hydrogen slogans, that include pictures. 1. 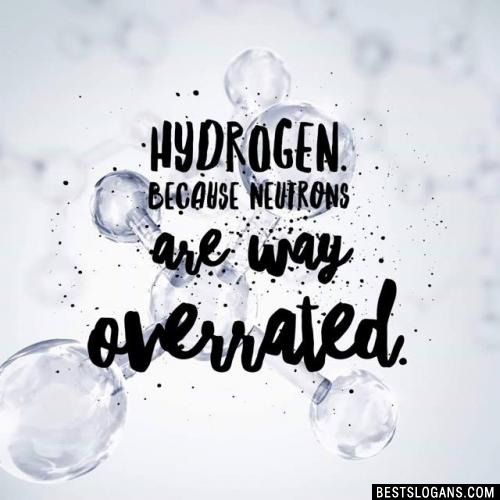 Hydrogen. Because neutrons are way overrated. 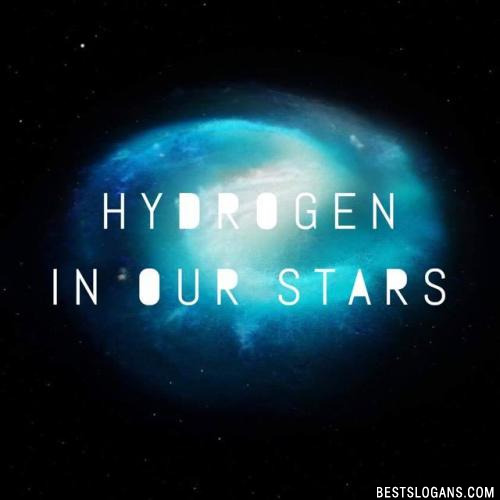 Hydrogen is the simplest and commonest element in the universe but there's more to it than you know. 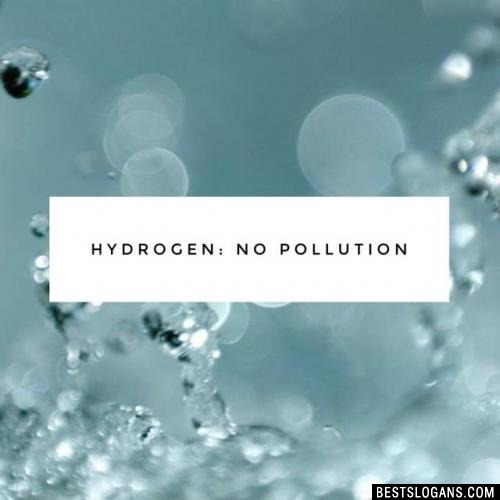 Here are some interesting facts you not know about hydrogen. 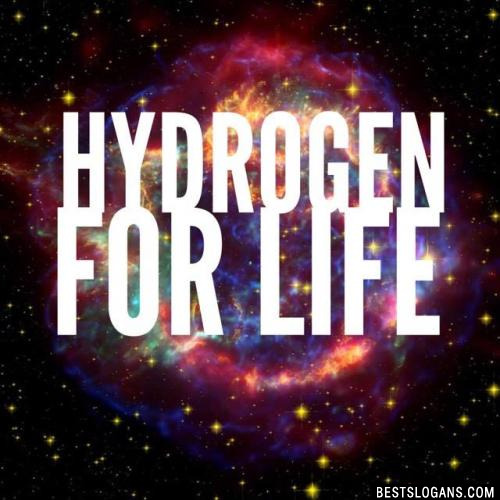 About 10 percent of the weight of living organisms is hydrogen mainly in water, proteins and fats. 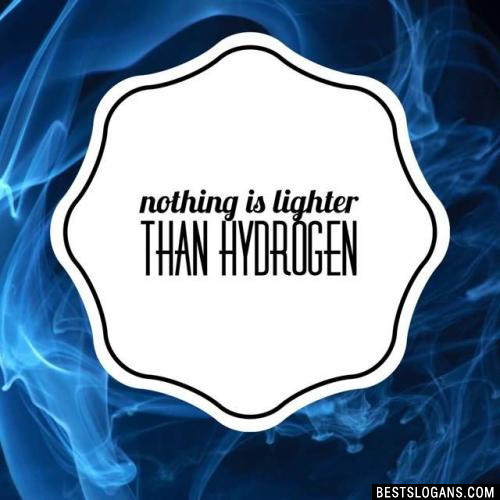 Hydrogen is the only element that can exist without neutrons. Hydrogen's most abundant isotope has no neutrons. We owe most of the energy on our planet to hydrogen. The Sun's nuclear fires convert hydrogen to helium releasing a large amount of energy. The first chain reaction discovered was not a nuclear reaction; it was a chemical chain reaction. It was discovered in 1913 by Max Bodenstein, who saw a mixture of chlorine and hydrogen gases explode when triggered by light. The chain reaction mechanism was fully explained in 1918 by Walther Nernst. Hydrogen. Because neutrons are way overrated. 3 Say hello to progress. Say Hy to to the future. 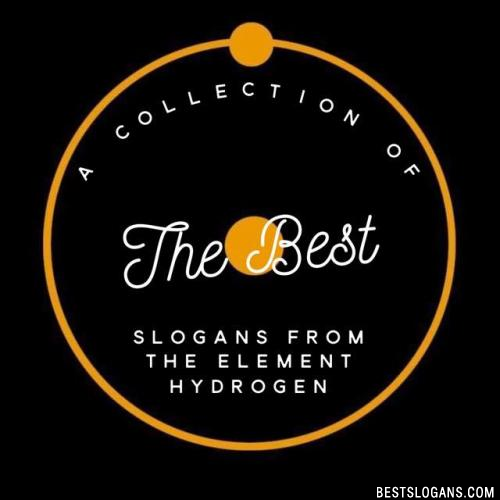 Can you think of a good Hydrogen Slogans we're missing? Or come up with a clever one of your own. Please share below.